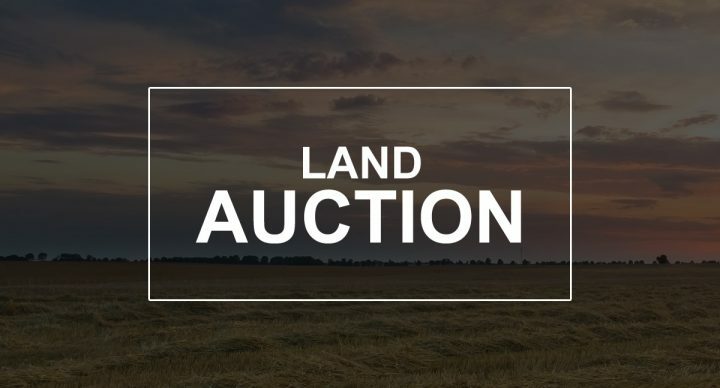 We will offer the following real property at auction at the land located from Alexandria, SD – 5 miles west on 257th St., 5 miles south on 416th Ave. and 1 mile west on 262nd St. to the SW Corner of the Land at the Jct. of 415th Ave. & 262nd St.; from Ethan, SD (Watertower) – 5 miles east on Hwy. #42, 3 miles north on 416th Ave. & 1 mile west on 262nd St.; or from Chef Louie’s Steak House in Mitchell, SD – 6 miles east on Hwy. #38, 8 miles south on 416th Ave., 1 mile west on 262nd St. This +80 acre farm will be offered as a unit. This property consists of a tract of land that has good eye appeal, a high percentage tillable and some high quality soils, that would serve as an excellent addition to an area row crop farming operation or investment. According to FSA information this +/-80 acre farm has approx. 78.22 acres of cropland with an FSA 38.2 acre corn base with a 110 bu. PLC yield, a 40.0 acre soybean base with a 37 bu. PLC yield and is enrolled under the ARC County Election of the USDA Farm Program. According to the Hanson Co. Assessor this farm has a very respectable overall soil rating of .723 – which is well above the county average, comparatively according to info. obtained from Surety Agri-Data, Inc., this land is indicated to have an overall productivity index of 78.5. The general topography of this land is level to gently rolling. The non-tillable portions are comprised of a pocket of lowland and roads. This property is located in a prominent agricultural area of Hanson County, SD and must be seen to be fully appreciated. LEGAL DESC. : The S½ SW¼ of Sec. 34, T. 102N., R. 59W., (Rosedale Twp. ), Hanson Co., SD. TERMS: A 10% nonrefundable downpayment on the day of the sale and the balance on Feb. 19, 2019 with full possession and the privilege and right to operate this land in 2019. A Referee’s/Receiver’s Deed will be conveyed and owner’s title insurance provided with the cost divided 50-50 between the buyer and seller. All of the 2017 RE taxes payable in 2018 which were $1,432.02, as well as all of the 2018 RE taxes payable in 2019 will be paid by the seller. This property is sold based on the acres as stated on the county tax record, with the acres understood to be “more or less”. The sellers do not warranty or guarantee that existing fences lie on the true & correct boundary and any new fencing, if any, will be the responsibility of the purchaser pursuant to SD law. FSA cropland acres, yields, bases, payments and other information is estimated and not guaranteed and is subject to County Committee approval. Information contained herein is deemed to be correct but is not guaranteed. This property is sold in “AS IS” condition and subject to existing easements, restrictions, reservations & highways of record, if any, as well as any existing Hanson County Zoning ordinances. The RE licensees in this transaction stipulate that they are acting as agents for the seller. Mike C. Fink of The Fink Law Office, P.C. will act as escrow and closing agent for this transaction. This property is Sold subject to Confirmation of the Referee and the First Judicial Circuit Court of Hanson Co., SD. For addt’l information contact the auctioneers. 262nd St. & 415th Ave.